05 Sep 2018 --- More than one in four adults globally – amounting to 1.4 billion people – are physically not active enough, with inactivity levels reaching one in three adults in some countries, new data published in The Lancet Global Health show. Policies to increase the physical activity levels of populations need to be prioritized and scaled up urgently to stave off the risk of poor health, note the involved World Health Organization experts. Regular physical activity is proven to help prevent and treat noncommunicable diseases (NCDs) such as heart disease, stroke, diabetes and different types of cancer. It has also been linked to improved mental health, quality of life and well-being. Moreover, it helps prevent hypertension and obesity. The health & wellness industry is blossoming globally, with the active nutrition industry, in particular, seeing immense growth. Physical activity levels, however, appear to be lagging behind. The paper reports data that update 2008 estimates on levels of activity showing that overall, the global scale of inactivity in adults remains mostly unchanged since 2001. Experts cite sedentary jobs and hobbies, as well as increased use of motor transport as likely explanations of the high levels of inactivity. 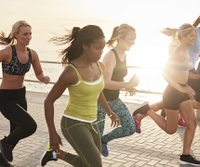 The report notes that women are less active than men, with an over 8 percent difference at the global level (32 percent men vs. 23 percent, women). High-income countries have higher levels of inactivity (37 percent) compared with middle income (26 percent) and low-income countries (16 percent). Setting out four objectives and 20 policy actions that are applicable to all countries, the WHO has launched a Global Action Plan on Physical Activity aimed at reducing physical inactivity by 10 percent by 2025 and 15 percent by 2030. The plan seeks to help countries scale up policy actions to promote physical activity. It responds to the requests by countries for updated guidance, and a framework of effective and feasible policy actions to increase physical activity at all levels, the WHO reports. The inactivity levels are worrying, especially considering the growing prevalence of NCDs across the globe. Last month, the British Heart Foundation warned that the number of people in the UK suffering from heart attacks and strokes as a result of their diabetes would rise by 29 percent by 2035. This rise is likely to put an “unprecedented burden” on the country’s medical services, with previous estimates suggesting the yearly cost of treating people with diabetes will be £16.9 billion (US$21.7 billion) by 2035, up from £9.8 billion in 2012. The foundation forecasts that the growing number of people with diabetes could result in nearly 39,000 people living with diabetes suffering a heart attack in 2035 – a rise of 9,000 compared to 2015 – and over 50,000 people suffering a stroke – an increase of 11,000. The biggest culprits, according to the foundation, are people’s worsening lifestyles and the UK’s growing obesity rates. According to a recent warning by the UN Food and Agriculture Organization (FAO), obesity rates among children in the Asia Pacific are growing at a rapid rate and will soon pose a serious healthcare threat to countries in the region if no action is taken. To combat the threat of “diabesity” – a term used to describe the close relationship between Type 2 diabetes and obesity – governments and families need to encourage healthier diets, more active living and stress management exercises, experts note. In the US, meanwhile, data from the US Centers of Disease Control and Prevention (CDC) showed that although more US adults are getting the recommended amount of exercise than in 2015, a larger percentage of adults are obese, and therefore at risk of NCDs. Modernization in the US has reduced the contribution of occupational physical activity to total physical activity, as the nation’s service economy requires minimal physical activity from a majority of workers who perform work that is largely sedentary. As a result, the CDC reports, most adults who currently meet the 2008 federal physical activity guidelines do so by participating in leisure-time physical activity (LTPA).